All models of Apple Watch quickly sold out when preorders began overnight last Friday, but now we have a better idea of which Watches were most popular. This was the bestselling Apple Watch on Frday, Slice Intelligence said. According to e-retail research firm Slice Intelligence, 957,000 people in the U.S. bought an Apple Watch on Friday—and many of those people bought two. The space gray Apple Watch Sport with a black Sport band was the bestselling Watch, which reflects anecdotal data we’ve heard from readers and colleagues. But buyers weren’t just snagging Apple Watches for themselves: On average, people bought 1.3 Watches to the tune of about $503.83 per Watch, which means a lot of people were buying a couple (as gifts or to sell on eBay, perhaps). 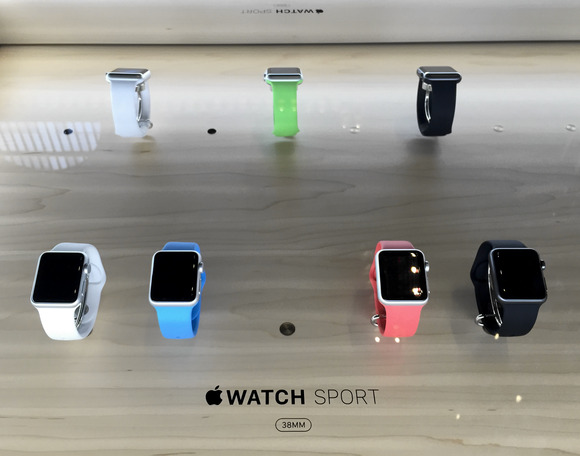 The Apple Watch Sport was the most popular model, with 62 percent of buyers picking the less expensive option. But even a third of people who bought the more expensive stainless steel Apple Watch added a black or white Sport Band to their order—possibly because at $50, it’s not exactly a splurge accessory. More than 40 percent of Watch buyers picked the space gray Sport, with the stainless steel Apple Watch coming in second place with 34 percent of preorders. 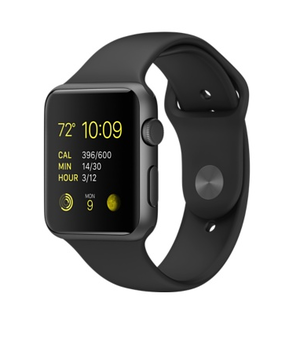 The black Sport Band was the most popular accessory, followed by the white Sport Band and the Milanese Loop band. An Apple Store employee told me the Milanese Loop is beloved by employees and people who try it on in-store, which sounds hard to believe until you wear it yourself. Apple Watch comes in two case sizes, 38mm and 42mm, and the larger version is far and away the most popular: 71 percent of buyers picked the 42mm. Slice Intelligence mines the email receipts of 2 million online shoppers to research e-commerce activity. Its estimates of Apple Watch preorders are just that: estimates. Apple hasn’t released any official preorder numbers, though if they’re as good as Slice says, they might give us some idea in the weeks to come (perhaps during the second-quarter earnings call at the end of the month). If Slice’s data is accurate, worldwide Apple Watch preorders could top 2 million, analysts told Fortune.